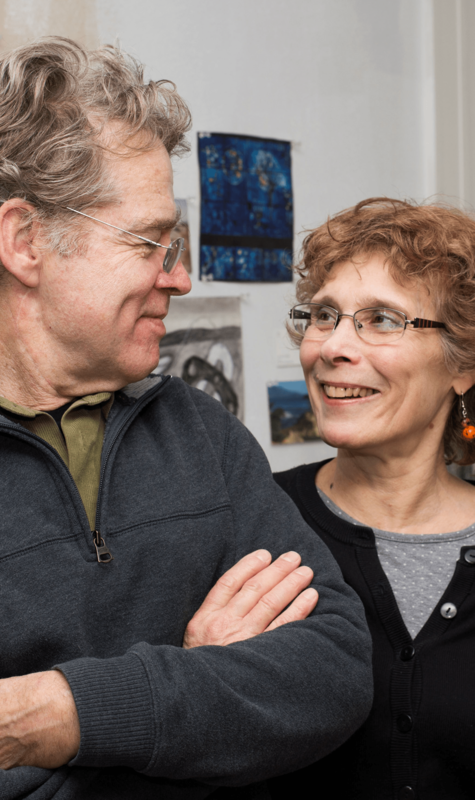 In late 2016 Marilyn Propp and I moved to Kenosha from Chicago to create the Center for Collaborative Research and form a partnership with the founders of Kenosha Creative Space. Our shared vision is to offer the community a new kind of place to co-work, to co-create, and to share the fruits of creativity with the community. We wanted to start this program up again, as a new entity. When we met Francisco Loyola, one of the visionaries behind Kenosha Creative Space, we began to see that there was a future for a re-envisioned version of Anchor Graphics. We decided to call it the Center for Collaborative Research. With a newly formed board of directors, we talked about what was important and what would best serve the community and generate interest beyond Kenosha. We expect to become a destination for artists, curiosity seekers, young people, and people who want to get in touch with their creative sides. It will be a place to work and to experience creative play. Kenosha Creative Space will be a hub where the community comes to share experiences, utilize the facilities for co-working, and support one another in an environment that encourages and facilitates all forms of creativity. 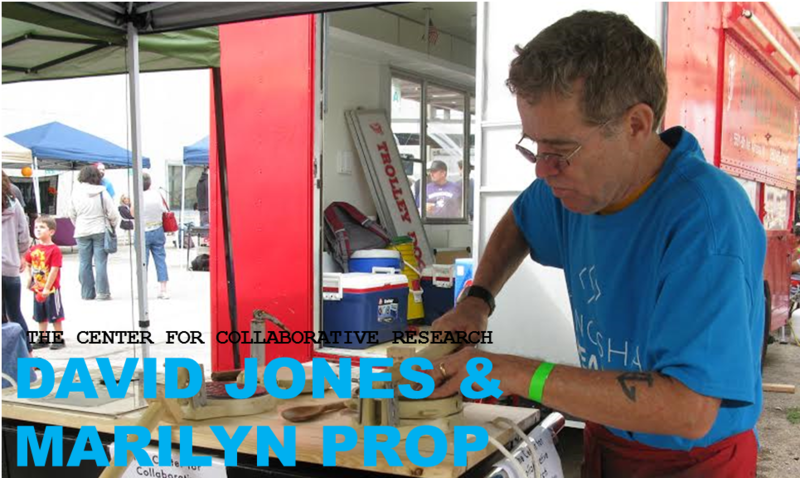 The Center for Collaborative Research will run a maker space revolving around prints. We will be the site for the study and production of multiples and will act as a catalyst for a diverse range of projects. This will be a creative laboratory designed to encourage and connect research, innovation and education in art. It will also encourage collaborative art practice and social engagement. We changed the name, but we are retaining some of the Anchor Graphics tools and techniques that worked well for us. For example, we’ll continue to use our Press on Wheels, an actual tortilla press modified for printmaking. It was a big success in our efforts to reach out to young people. We’ll continue to provide printmaking classes for young people and adults, and will add papermaking and book arts to our classes; we’ll continue to offer an internship program, and we’ll continue our International Artist in Residence Program, which provided print shop access to professional creatives/printmakers who needed the time and space to investigate new ideas. The artists in residence will present their work and their ideas to the community through public lectures and demonstrations. We will continue to invite artists to the shop to create limited-edition prints. This was important for training college interns about collaboration and professionalism while enhancing their skill sets. CCR will support and encourage professional development and creativity in contemporary and traditional printmaking. Anchor Graphics also provided a gallery space that exhibited stellar printmakers from around the world. The CCR will continue that offering, with exhibiting artists giving public lectures about their work. In addition to our activities, we will add a keyholder program. This will allow those who wish to use the facilities to enroll in training workshops and then, for a monthly fee, to have access to the facilities. Mission: the Center for Collaborative Research CCR is a non-profit print shop, work space and gallery that brings together, under professional guidance, a diverse community of youths, emerging and established artists, and the public to advance the fine art of printmaking by integrating education with the creation of prints and by promoting research, education and exploration.